“Content is king” is an often cited quote in the world of online marketing, search engine marketing and content marketing. Behind this is the belief that the content, the text in particular, is central to the success of a website. The quote “content is king” is originally from an essay Microsoft founder Bill Gates wrote in 1996. In it, he describes the future of the Internet as a marketplace for content. The phrase “content is king” is not new, but because of the increased focus on content marketing strategies, the quote is used very often. The success of websites depends on quality content. A website must offer content that meets the demands of users, and it should be optimized for search engines such as Google and Bing. Contentbird ran a study that determined that 73 percent of companies have focused content marketing strategies. Content marketing is a marketing strategy centered around the visitor’s interests with quality content instead of advertising. This evolved from the fact that users no longer pay attention to the daily onslaught of advertising messages on sites. In online advertising, this is known as banner blindness. The tools for content marketing include, for example, whitepapers, infographics, ebooks and blogs. Seeding of content is placing it on social media like Facebook, Twitter and Google+. To succeed with content marketing, in addition to high-quality content, a strategic approach is helpful. A content strategy can be divided into the following steps: content auditing, goal setting, planning, creation & publishing and sharing. Unique, high-quality and current content is essential for good ranking in search engines like Google. During the early days of the Internet, websites were able to achieve a high ranking just by loading the text with keywords. Since then, Google has provided new updates like Panda, Penguin and Hummingbird that rate quality content increasingly higher. A variety of factors influence the ranking. The weighting is constantly analyzed by search engines for different factors. However, experts agree that the content of a website is one of the most important criteria for ranking in search engines. Therefore, “content is king” in the SEO industry. Only with high-quality content can the ranking of a site be optimized. 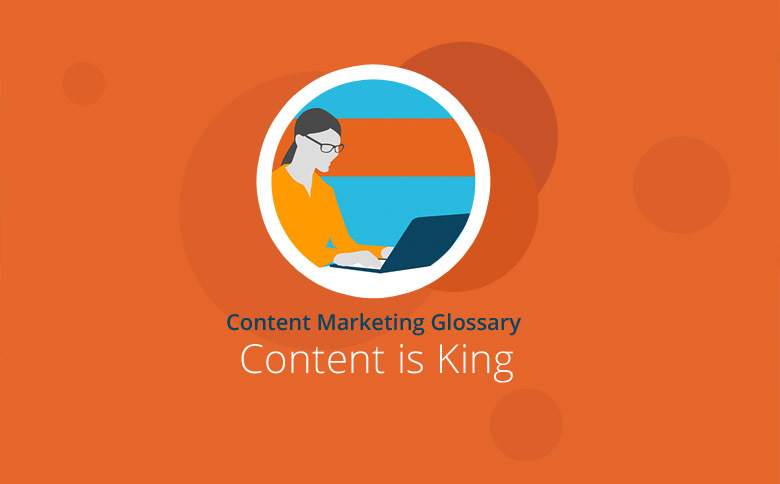 The quote “content is king” is very often used in conjunction with content marketing and SEO. It implies that unique, high-quality, interesting and relevant content contributes significantly to the success of companies on the Internet. Companies should, therefore, primarily think of great content before they take further measures in their search engine optimization strategy. In content marketing, the quality of the content offered will decide the level of your success.